Perhaps you lost your job, or a new business venture didn't quite work out as you had planned. Maybe you had a death in the family, or simply just got in over your head with credit cards. Whatever the reason, you are in debt, and no matter how you try, you cannot seem to dig your way out. Some people are embarrassed to speak about bankruptcy. Congress, however, recognizes that people in dire circumstances sometimes need financial relief and have provided us with the Bankruptcy Code for that very reason. Indeed, almost 1.5 million declared bankruptcy last year. We have a great deal of experience in helping people through these kinds of financial problems and we can help you too. 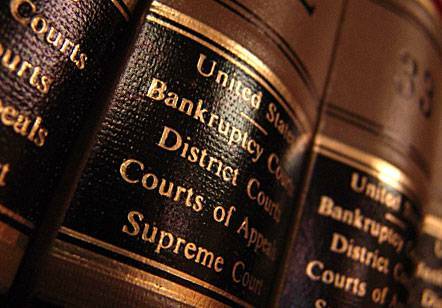 The United States Bankruptcy Code provides relief in a variety of flavors. Here are descriptions of those most filed by individuals and small businesses. Chapter 7 Bankruptcy forces your creditors (people to whom you owe money) to forgive and forget debts that you owe. This applies particularly to "unsecured" debts, which are debts not attached to any particular property. Home mortgages and automobile finance contracts are examples of "secured" debts. But most credit card balances, hospital bills, personal loans and even some taxes are completely erased, and you have no obligation ever pay them back. Many people think that declaring bankruptcy will cause them to lose their homes, cars and retirement funds. This is not necessarity true. The Code provides that debtors may keep certain assets, up to pre-established limits. Many retirement plans, such as 401k accounts and most IRAs are untouchable. For example, a single debtor may keep approximately $20,000.00 of equity in a principal residence; married co-debtors can keep approximately $40,000.00. By way of illustration, assume that John and Mary own a home valued at $200,000.00 and have a mortgage of $170,000.00. As long as they keep their mortgage payments current, they can discharge credit card debt, keep their house and all of the equity. Debtors are generally allowed to keep leased or financed vehicles, if they are willing to re-affirm or re-promise to pay the debt. Each can keep his or her 401k, and never have any obligation to repay debts that are discharged. Our fee for Chapter 7 bankruptcies is two thousand dollars, payable in advance. This fee includes income and asset analysis, the preparation of your petition, our appearance at your bankruptcy hearing and all filing fees. Some of our clients find that they own more assets than the Code allows them to keep, but are still inundated with debt. Chapter 13 permits the debtor to present the Court with a plan for either full or partial repayment of debts over a period of 36 to 60 months. Let’s return to John and Mary, but assume now that their home is valued at $300.000.00, leaving $132,000.00 of equity. Clearly, this is above and beyond the $40,000.00 limit described above. John and Mary can file a Chapter 13 petition and if approved by the Court, require their creditors to accept payments through the Court against their debts over a period of months or years. Quite often, the Court will require only partial repayment of unsecured debts; sometimes only five percent of the total amount due. At the same time, John and Mary will be allowed to keep their home and all of their equity. Our fee for Chapter 13 bankruptcies is three thousand dollars, payable in advance. This fee includes the preparation of your petition, our appearance at your bankruptcy hearing, our appearance at your confirmation hearing, and all filing fees. Not everyone can qualify for bankruptcy, and there are many aspects of your financial life to consider in this process. Aside from deciding which Chapter to file under, you must also consider the effect that bankruptcy will have on your ability to gain credit in the near future. Indeed, credit reporting agencies can keep a bankruptcy in your credit profile for up to ten years. However, if you are considering this avenue, your credit is probably already damaged. If you are in over your head, please call us for a free consultation. Most likely, we will be able to help.